The first printed books were meant to emulate hand-written manuscripts and since the days of Gutenberg we continue to admire fine publications. 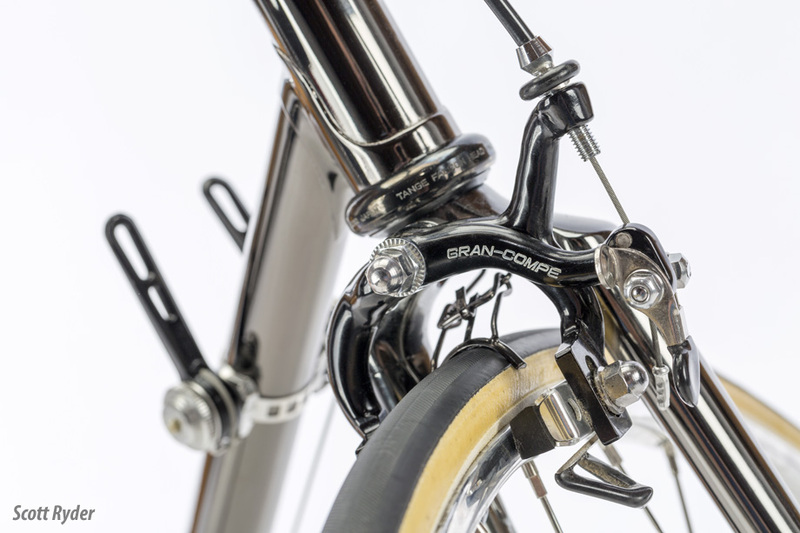 The Rizzoli company is noted for its quality works and has not disappointed with “Japanese Steel”, a celebration of “bike boom” two-wheelers that features superb presentation along with exquisite photos of bicycles you probably have never thought much about. Author William Bevington's stated goal in the book's opening is to make the reader feel as if you are having lunch with him and discussing the finer points of these bicycles before going to an exhibition of them. This is a successful approach as each chapter includes his personal comments as well as a remarkable amount of detail about the bicycles and the people who built and sold them. The Japanese have a long history with the bicycle, with the first imported machines arriving in the 1870s, and domestic manufacture of steel tube frames started in 1890. For the most part, bicycles were utilitarian and even today bicycle commuting is significant in the country, often linked with public transit. Who has not marvelled at the fully automated bicycle parking stations the Japanese have developed? With the gradual lessening of imports in favour of domestic production, the nascent industry was switched to the manufacture of war materiel in the 1930s. From the wreckage of World War II emerging Japanese industry began from scratch and firms such as Miyata, which had been a gunmaker, switched entirely into the bicycle market. At the same time, Japanese component makers studied foreign products and toured European factories. Tariffs on imported parts were extremely high, which protected the domestic industry but limited competition. We all know about how the poor reputation of Japanese manufactured goods was supplanted by superior quality, in large part due to the teaches of Edwards Deming, an American industrial consultant, and most visibly in the automotive sector. 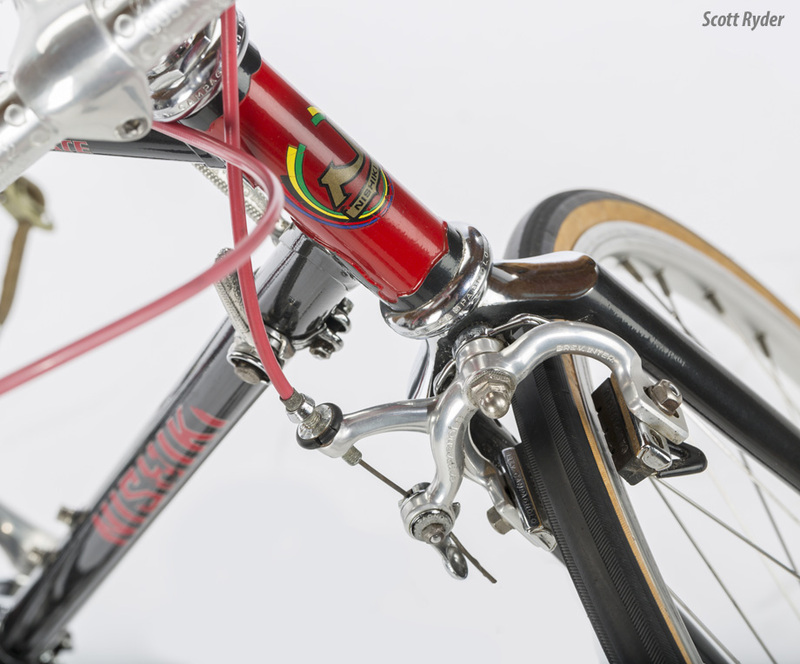 However, the bike boom of the 1970s, which exploded demand for “10 speeds” in North America, suddenly provided an opportunity for Japanese bicycle companies. 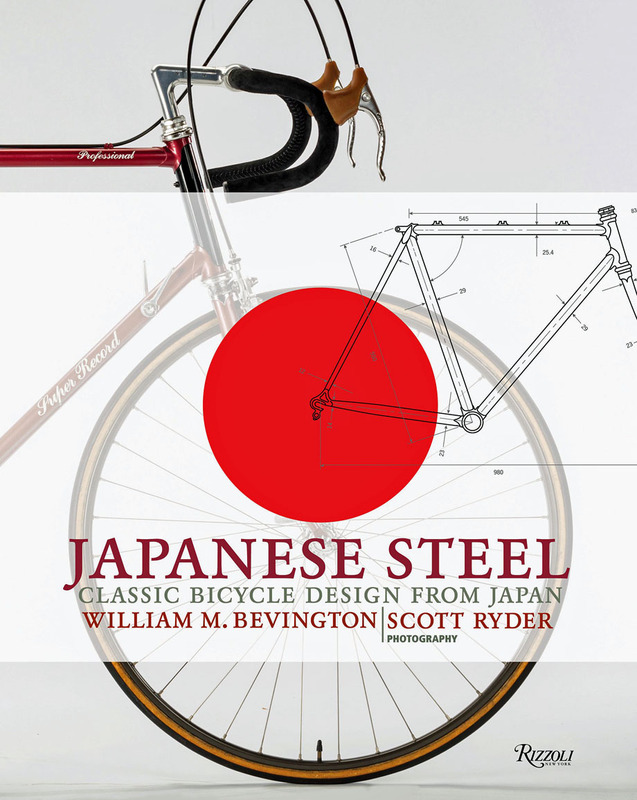 “Japanese Steel” covers bicycles from this 1970-1995 period, a Golden Age of exports. While the Japanese had manufacturing skills and were competitive on pricing, they lacked marketing know-how. In some cases, big Japanese trading companies like C. Itoh handled international sales, but were not specialized in sporting goods. European manufacturers could not meet demand or price requirements, so American distributors looking for new sources went to the East and companies such as Western State Imports and West Coast Cycle Supply were formed to take advantage of the raging market. Demand was so high that in some cases bicycles were actually sent air-freight to the United States. Mr. Bevington's own background is novel as he began working in a Fuji store in New York at 15 years of age. On his own initiative, he looked into studying design and came up with a new logo for the brand, receiving $500 for his effort. 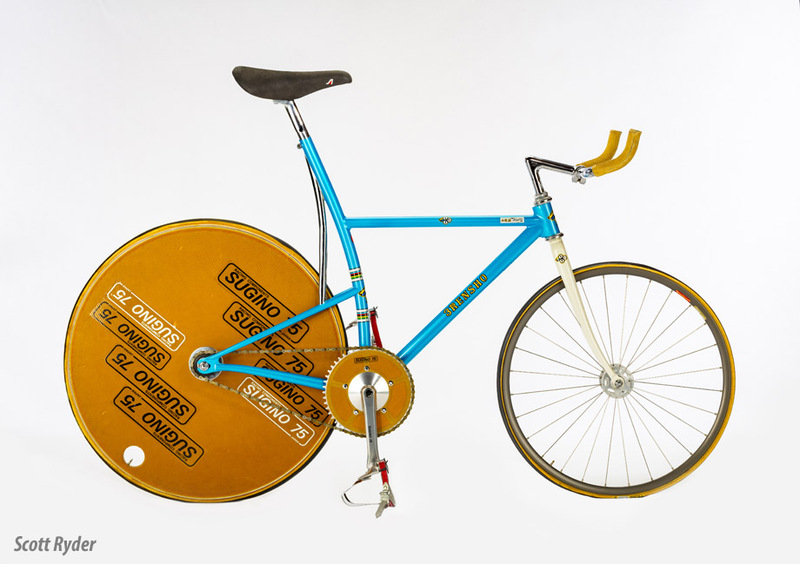 This led to a career not in the bicycle industry but in the design world, being associated with the Parsons Institute for Information Mapping. Not only does “Japanese Steel” feature many of the bicycles from his own collection, but Mr. Bevington actually designed the book itself! Many of the names will be familiar those us who remember the heady days of the bike boom: Miyata, Fuji, Centurion, Bridgestone, Kabuki, Nishiki, Panasonic... None of these bikes come from the little workshops of European artisans so beloved by retro bike snobs and in fact many of the frames were farmed out to be made by subcontractors, as is typical of Japanese manufacturing. So do not expect to find any exalted framebuilders here, although in fact some Italian builders were drafted to build some of the higher-end models. That said, the workmanship on the illustrated bicycles is very good and they are equipped with appropriate components. 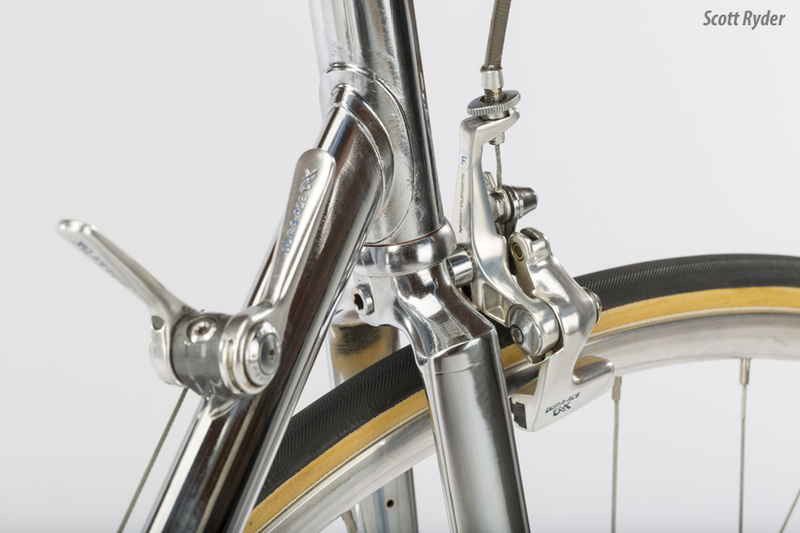 These included not only Campagnolo but the highly innovative domestic products of companies such as SunTour and Shimano. Rather than building groupsets in one firm, the Japanese formed cooperative organizations that supplied components from different companies. The book is filled with extraordinary detail. For example, one of the company founders began his career as an apprentice in a machine shop, operating a hand-powered lathe as a machinist. When the 9 year old boy began to tire and slow down, the machinist would gently tap him on the head with a hammer to get his attention. This was Mr. Matsushita, a bicycle enthusiast who built the Panasonic electronics empire, and passed away aged 94 in 1989. 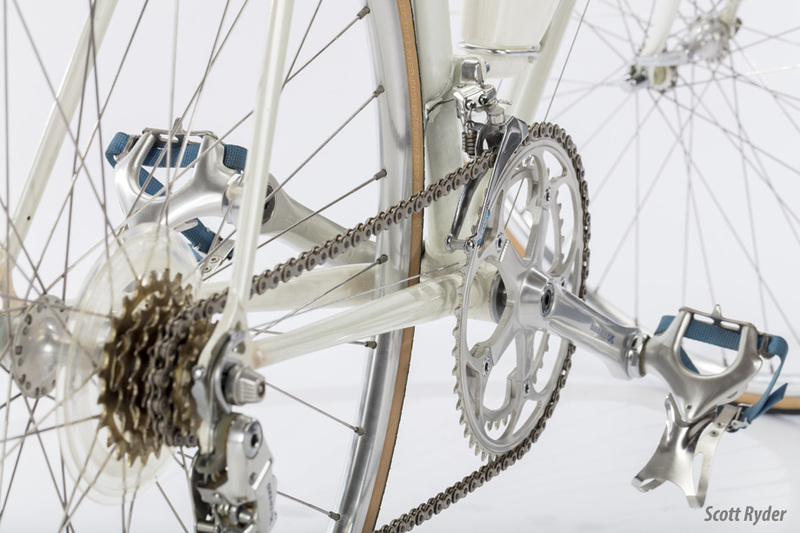 Panasonic was a particularly innovative manufacturer of bicycles, offering an unprecedented custom program. Panasonic PR6000 frames were used by a pro European racing team run by Peter Post, and even were disguised to appear to be Colnagos. There is much in the book about corporate organization and marketing—something you will not see in a book about Colnago—but the books final chapters included the story of artisan builders Cherubim and 3Rensho (pronounced “San Rensho”), as well as a nice story about the restoration of a spectacular black chrome Fuji from 1973. There is also information about Japanese specialized tubing manufacturers as well. By 1995 the winds of commerce had changed again and the production of bicycles shifted to Taiwan with the emergence of the aptly-named Giant, and China. All Golden Ages end. 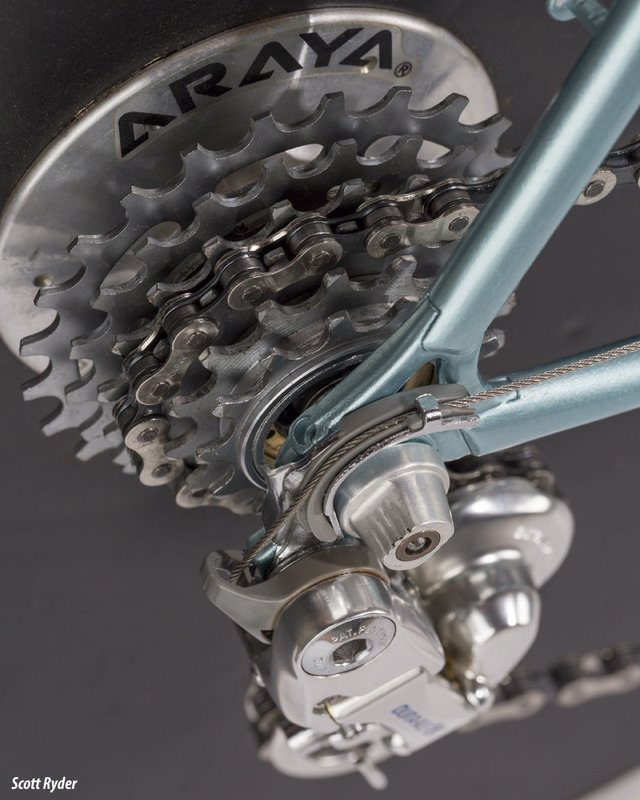 Many of the brands highlighted in “Japanese Steel” are gone now although still-innovative Shimano bestrides the world as a component manufacturer. The book is a remarkable combination of beautiful design, charming prose, serious technical detail, and the spectacular photos of Scott Ryder, and is a very welcome addition to cycling's literature. When not pining for a complete SunTour Superbe Pro drivetrain, Leslie Reissner may be found in zen-like contemplation at www.tindonkey.com.